Last February Winners - For Real This Time!!! Bonnie Leon is the winner of Love Finds You in Last Chance, California, by Miralee Ferrell. Peachykath is the winner of Silent Terror by Lynette Eason. Marla is the winner of How Can I Run a Tight Ship When I'm Surrounded by Loose Canons? by Kathi Macias. KathyCarltonWillis is the winner of Michal by Jill Eileen Smith. Each winner needs to email me your mailing address. If you don't have my email address, click on View Complete Profile in the right hand column. You'll find the link. Welcome back, Joan. Why do you write the kind of books you do? Ultimately, God led me to writing and has given me the stories to write. Since I come from an Amish/Mennonite background, I was steeped in history from day one. Faith, family, church, and community are very important to the Amish and Mennonites, and the Hochstetler family has an especially interesting history that’s well known in the community and is regularly recounted. So that had a powerful impact on my life and interests. I love to research and learn about the lives of people in earlier times, and then bring the past to life for readers, especially for those who think they hate history. And over the years, I’ve grown very concerned that Americans today know so little about the founding of our nation. I’d hate to see us lose the legacy handed down to us by those who laid everything on the line to ensure our freedom, but I genuinely believe we’re in danger of that happening. With the American Patriot Series, my goal is to write the only comprehensive fiction series on the American Revolution—portraying all aspects of it, including the experience of colonists, African Americans, Native Americans, and women. It’s been fascinating and fun—not to mention a real education! I’d have to say the day I was baptized. That’s the most deeply meaningful experience I’ve ever had—to come before the church, the body of Christ, and make that confession of faith in my Savior. I agree. Most of the really meaningful times in my life have been related to the Lord. How has being published changed your life? Oh, goodness, it’s gotten a whole lot busier! On the plus side, I’ve met many so wonderful people and gone places I wouldn’t have otherwise. I’ve also become more confident out of sheer necessity. On the minus side, my writing time and family time are more limited than I wish they were. I’m just finishing up Michelle Griep’s Gallimore. Stand-In Groom by Kaye Dacus, who is a dear friend, is next on my list. I read the rough draft, and I loved the story, so I’m really looking forward to reading the published version. I just finished reading Stand-In Groom. There'll be a review in my March newsletter. http://lenanelsondooleynewsletter.blogspot.com What is your current work in progress? I actually have 2 that I’m working on: Northkill, a fictionalized version of the story of my Amish Mennonite ancestors, and Crucible of War, book 4 of my series. Hawaii. Or the English Isles. Or Germany. Or Italy and Greece…. Sigh. For the series, that’s easy. Each volume is set in the time and place the actual events I’m covering occurred. So is Northkill. One Holy Night was more of a challenge. First I had to decide when to set the story. I finally settled on 1967, during the Vietnam War, because I was in high school and college during most of those years, and like other young people of the time, the war had a big impact on my life. Then I needed a location where a blizzard could plausibly take place. Since I’d been to Minneapolis some years earlier, I finally decided to set the story in that area because it was somewhat familiar. Oh, that’s a difficult one. Hmmm…I think probably Sarah Palin. Anybody who, in just a few years, can go from being a hockey mom to being the governor of a state, and then to running for vice president has my admiration. I totally agree with her pro-life position, and she also seems to be a hoot. I think we’d share a lot of laughs and have some pretty profound conversation too. I'd love to be at that meeting. I share that strong pro-life position, too. What are your hobbies, besides writing and reading? I love to garden and do crafts. Last summer I started scrapbooking, and it’s driving me crazy that I haven’t had time to work on my projects this winter. I also have a great deal of interest in interior decoration. HGTV is one of my favorite channels. I’d redo my house every other year if I could afford it. And I love to travel. I’ve never had writer’s block, and I love to do research, so those have never been obstacles for me. Dedicating time to writing is the greatest hurdle I’ve faced. I’m either too covered up with other business to write…or I fritter my time away with all kinds of unimportant little projects. I suspect most writers relate to that! I need to have a deadline hanging over my head to keep me motivated! I'm a lot like that, too. What advice would you give to a beginning author? Never give up! I know you’ve heard that before, and you may be wondering, what’s the point? Well, I’ve been on the verge of quitting more times than I want to admit, even after I had a couple of books published, so I totally relate to the pain of rejection. But if writing is your calling from the Lord, then remain faithful no matter what the cost. He has a plan and a purpose for the stories he gives you, and it will come to pass if you endure. If you quit, I guarantee that the blessing he meant for you will go to someone else who refuses to give up. Wind of the Spirit is the 3rd book of my American Patriot Series, which is set during the American Revolution. The story resumes with Elizabeth Howard scrambling for crucial intelligence General George Washington must have if the Americans are to stop the British from capturing New York City. Elizabeth’s assignment leads her into the very maw of war at the Battle of Brooklyn Heights, where disaster threatens to end the American rebellion. Yet all the while her heart is fixed on Jonathan Carleton, whose whereabouts remain unknown more than a year after he disappeared into the wilderness while on assignment for Washington. She has no way of knowing that Carleton, now the Shawnee war chief White Eagle, is caught in a bitter war of his own. As unseen forces gather to finally destroy him, he leads the fight against white settlers encroaching on Shawnee lands—while he battles the longing for Elizabeth that will not give him peace. With Washington poised to make a last-ditch gamble to save the American cause at Trenton, and the British closing in on Carleton’s whereabouts, Elizabeth rejoins Colonel Charles Andrews on a desperate journey to find Carleton before he is captured and executed for treason. They find him at last . . . and all three of their lives are changed forever. My Web site is www.jmhochstetler.com . 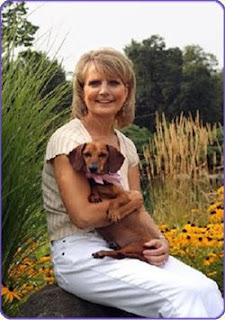 You can also learn more about my books on the Sheaf House Web site at www.sheafhouse.com . Thank you for spending this time with us, Joan. Readers, leave a comment for a chance to win a free copy of the book. Don't forget to check back a week from Saturday to see if you won. I just love historicals. Today we're talking to another author of historials. Welcome, Siri. Tell us how much of yourself you write into your characters. Increasingly, less. My first novels were "all about me" in various ways. My current novel has very little of me in it at all. We have a jackalope (the "trophy head" of a rabbit with antelope antlers attached). I love to incorporate it in our décor. Once we hung it on the wall in an African-themed room and told everyone that it was a rare sub-Saharan animal. Only one visitor ever realized what it was. I've seen those in specialty shops. When did you first discover that you were a writer? It was probably in junior high school when my history teacher told me he thought I had a future in writing. For a long time after that, I assumed that "writing" meant journalism, but it only took one course in college for me to realize that newspaper writing was not for me. I love Ginger Garrett’s historicals and Claudia Mair Burney’s contemporaries. I love Laura Jensen Walker’s sense of humor and the way Christy Barritt incorporates humor into her mysteries. I’ve read all of Ellis Peters’s Brother Cadfael mysteries (set in medieval England) and nearly all of Lindsey Davis’s Didius Falco mysteries (set in ancient Rome). Kissing Adrien (2005), Something Beyond the Sky (2006), The Cubicle Next Door (2006), and Moon Over Tokyo (2007) were all published by Harvest House. Cubicle was a Christy finalist for Lits. Chateau of Echoes (2005) was published by NavPress; it was also a Christy finalist. I have two non-fiction manuscripts I call French Confession and Sushi Redemption. And a terrible first novel that will never see the light of day. I’m a simple person who can only do one thing well at a time. Knowing this about myself allows me to say "no" to quite a few things. I also limit my hobbies. At the moment, they’re all health oriented (weight-training, golf, tennis, etc.) My family has chosen to live close to our daily activities so we don’t have to spend hours in the car. I’ve divided my day into writing time and…non-writing time. I’m only a good juggler when I have few balls to juggle! H ow do you choose your characters’ names? For my historicals, I go back to census records and pull from the most common names of the period (for both first names and surnames). Historically, the pool of names was very small. For contemporaries, my characters usually come to me, name in hand. The proudest moments in my life have usually been achieved in tandem with someone else. To isolate an accomplishment I achieved on my own, I’ll have to go back to the age of 5 or 6. I spent my youngest childhood years on the East Coast where summers were spent in the swimming pool either practicing for swim team or playing with friends. At one of my first swim meets, I was scheduled to swim the anchor lap of a relay. When I jumped into the water, my team was dead last. I remember hearing people cheering as I swam. I remember thinking, "Oh no, someone’s already finished!" The cheering kept getting louder and I kept swimming faster because I didn’t want to be embarrassed. When I touched the wall I realized that those cheers had been for me and that our team had won. I had pulled off a gigantic upset! That's wonderful--truly a thing to be proud of. If you were an animal, which one would you be, and why? A cat. I’m not particularly fond of them (I’m a dog person), but I’d really like to be able to purr. A good dark chocolate mousse. For the longest time, I was afraid to start querying my manuscript. I didn’t want to be rejected. And then one night, one of the members of our Bible study said, "That’s stupid – how can anyone ever buy it if you never send it out?" That cured me. And 10 years, 153 rejections, and 4 manuscripts later, I sold my first book! Write. You can do all the research you want. You can read all the books about writing that you can find. You can go to all the conferences that you have time and money to attend, but at some point, you have to just sit down and…write. In this profession, a whole lot of learning comes from doing. A Constant Heart is the first of three standalone historical romance titles that will be released by Bethany House Publishers. This book is set in Queen Elizabeth's court in a world where beauty is a curse, friendship is bought and sold, and true love is the unpardonable sin. Each of the three books is set in a time period when women’s lives were endangered by the fashions they wore. The fashion element in A Constant Heart is the toxic lead-based paste the women used to paint their faces. Thank you, Siri, for spending this time with us. We want to feature the other novels in this series. Leave a comment here on my blog website for a chance to win a free copy of the book. Don't forget to check back a week from Saturday to see if you won. I am really glad God has allowed me to know Mary DeMuth personally. Welcome back to the blog, Mary. God has really been moving in your writing life. What do you see on the horizon? I hope I see that I get to continue this dream, writing for the sheer joy of it, and also receiving compensation. I also pray that if things take off, I’ll keep my head on straight and constantly strive to point to the truly Famous One, Jesus. That's a desire of my heart, too. To tell His stories and bring honor to Him Tell us a little about your family. I’ve been married 18 years to Patrick, and we have three kids: Sophie, Aidan and Julia. Sophie’s learning to drive—and what’s interesting is that I’m not worried about it. She’s a careful driver. We also have an overly needy dog and a fat & fuzzy cat. I am ruined when I read now. Since I have so many “rules” in my head, if a book violates them time and time again, I set it down. I’m sure there are many great books I’ve neglected because of this. I’m completing the third book of the Defiance, TX series, tentatively titled Defiance. It’s not an easy book to write, as I’m in the head of a battered wife. This is so foreign to me, but I’m learning more and more about my character as I write her. I love to cook and garden and sew and decorate. I’m really quite a homebody. I also keep in shape by training for small triathlons. So far I’ve only set my books in Texas. It’s convenient since I live here! Jesus, of course. I hope I’d be like Mary (hmmmm) sitting at his feet, but I fear I’d be Martha, buzzing about. How painful and grinding the process can be. And that God often chooses the writing of the novels and the editing process to point out issues of spiritual and personal growth in me. As I start a new novel, I wonder what the Lord will dredge up in me that needs to see His light. To learn how to embrace subtlety. I’m a loud, in your face, writer. I’m learning to create nuance. This, of course, translates into my everyday life too. 1. Write as much as you possibly can. 2. Understand the cost before you jump into this industry. 3. Trust in God’s sovereignty. It’s a coming of age story set in Defiance, Texas, in the seventies about a boy who has to grapple with his own family secrets when his best friend Daisy goes missing. It had been thirty roller-coaster years since Daisy Marie Chance forced fourteen-year-old Jed Pepper to fall in love with her. He’d obliged her, dizzied at the thought ever since. It had been that long before Jed could walk through the ruins of Crooked Creek Church, a butterfly flitting a prophecy he never could believe, even today. It was Daisy’s singsong words that gave the butterfly its bewitching manner, those same words that strangled him with newfound love. For years, he wished he’d had an Instamatic camera to capture the moment he fell for Daisy, but then entropy would’ve had its way, fading and creasing Daisy’s face until she’d have looked like an overloved newspaper recipe, wrinkled and unreadable. Thing was, he could always read Daisy's face. Even then. She’d looked at him square in the eyes that day in 1977, in the exact same spot he stood now, and declared, “Your family ain’t normal, Jed.” And because lies came easy to him, he’d thought, of course my family’s normal. Anyone with eyes could see that. Daisy said a lot of words, being a thirteen-year-old girl and all, but these didn’t make much sense. Thirty years later they did. They screamed the truth through the empty field where the church used to creak in the wind. For a hesitant moment, enshrined in the ruins of his childhood, Jed was fourteen again. Filled to the brim with testosterone and pestered by an orange and black tormenter and Daisy's oh-so-true words. "Your family ain't normal, Jed." He watched the butterfly loop above the organ, never landing, like it had a thing against church music. Or maybe dust. He sat on a rickety pew. He clasped his hands around his ears, hoping Daisy’s words would run away. He hummed "A Mighty Fortress Is Our God." He swatted the air between them, hoping she’d disappear. “Yeah. Quit bothering me.” He looked at his watch. Six fifteen. Time to go. “But your face.” Daisy sat down a Bible’s throw away. “It looks like it hurts.” Daisy scooted closer. She reached her arm his direction. Wow, Mary. Your writing always moves me. I can hardly wait to read this new book. How can readers find you on the Internet? One of my favorite authors to interview is back. Welcome, MaryLu. Tell us about your salvation experience. It’s quite a story! I was a non-believer most of my life. I grew up in an alcoholic home without a father and spent most of my younger years following after the ways of the world. And guess where that led me? At 35, I was miserable, lonely, and desperate for love and meaning in my life. Searching for answers, I picked up a self-help book in the psychology section of the bookstore, and believe it or not, the doctor’s recommendation was to read the Bible from cover to cover. So, I found my old Bible, dusted it off, and did just that. Somewhere in Ezekiel in the middle of the prophecies about Israel, I realized that the things that Ezekiel spoke about thousands of years ago were coming true all around me. And it was like someone turned a light on, and I realized there was a God. There, alone in my bedroom, I got on my knees and gave my life to Him. And I haven’t been the same since! Our God is awesome. He meets each of us where we are and accepts us when we turn to Him. How did you and your husband meet? I’m not sure you want to know this, but my husband and I met in a bar before either of us were saved. We were both lost, lonely puppies that God threw together because He knew the good plans He had for us. My husband is now a Christian too. He was a much tougher case than me :-) and it took many years for God to break through to him, but God finally visited him much like He did Saul in the New Testament. But that’s another story. Praise the Lord for His mighty works. You’re planning a writing retreat where you can only have four other authors. Who would they be and why? You, Lena, because you’re such a great mentor for writers and so giving of your time and talents. Laurie Alice Eakes because she is an historical expert, a really nice lady, and a fabulous writer. Louise M. Gouge, a great writer and super lady, and Michelle Sutton because she’s not only a great writer, but she’s crazy like me. That sounds like a wonderful group. I love all those ladies, too. And, MaryLu, I have a really crazy side, too. What is the most embarrassing thing that has happened to you and how did you handle it? I’m one of those people who is constantly putting my foot in my mouth, so embarrassing moments are quite common in my life. If you’ve seen Bridget Jones’ Diary than you have a good idea what I’m like. I suppose I’m so used to it now that I usually laugh at myself and shrug my shoulders. First of all, I tell people to stop talking and start writing! Books don’t get written by dreaming about them. But I would also caution them to make sure this is truly God’s will for them and not their own agenda. Because if God isn’t in it, it won’t happen, at least not like they hope it will. Next, they need to study and learn the craft. Writing is like anything else. You have to learn how to do it. Join writer’s groups, join a critique group, enter contests, etc… do all these things, but most of all write. Write what’s on your heart and your passion will come out on the pages. A female pirate falls in love with the British Navy Captain trying to catch her. The Red Siren is a love story, it’s an adventure, and it has a strong spiritual theme which ties in with the story of the sower and the seed in Matthew 13. The heroine, Faith Westcott, has given up on men and on God and becomes a pirate in order to garner enough wealth to protect her sisters from unwanted marriages. Dajon Waite hopes to pay penance for mistakes he made in his past by being the best Navy Captain he can be and by following all of God’s rules. But what will he do when he discovers that the woman he loves is the same pirate who outwitted him more than once off the Carolina shores? Thank you, MaryLu for spending this time with us. Your interviews are always interesting, and I just love your books. Leave a comment for a chance to win a free copy of the book. Don't forget to check back a week from next Saturday to see if you won. Mez is the winner of Abiding Peace by Susan Page Davis. Tina Dee Books is the winner of Gingham Mountain by Mary Connealy. Lisa Buffalo is the winner of Insight by Deborah Raney. Abi is the winner of Frankie the Walk 'n Roll Dog by Barbara Techel. All of you need to email me your mailing address. There's a link in my complete profile. Just click the View Complete Profile link. 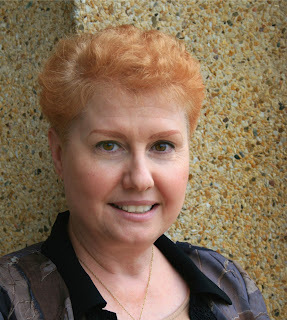 I'm happy to feature a long-time ACFW friend with her debut novel. Welcome, Jill. I love your photo and your cover. Tell us how much of yourself you write into your characters. I suppose there is a part of me that comes through in all of my characters, though for my male characters I draw on my experience of living with all men (one husband, three sons). But the spiritual journeys of my characters, their emotions, their prayers—I would say that I’ve probably been in a similar frame of mind, though not necessarily a similar life experience. I remember that. Thankfully, I wasn't one of those doing the knocking. When did you first discover that you were a writer? When God figuratively tapped me on the shoulder and told me to dig up the gift of writing I had buried for eight years. I used to write in my teens but put it all away after high school. In my twenties, God worked in a number of ways to get my attention to dust off my pen and put it to use once again. I like many genres – mainly in the Christian market. Right now I’m favoring historicals, but I like contemporary women’s fiction, mystery, suspense, chick lit, and most eras for historical and biblical fiction. I’m not into sci-fi though I like some science fiction movies. And I’ve critiqued some unpublished fantasy works that I enjoyed. My favorite books have romance in them but aren’t necessarily straight romance. I like complicated plots with a thread of romance that pays off in the end. I seek time with the Lord and say no if need be. I have always been careful with new commitments because I know my limits, and I don’t think it’s a good idea to overwhelm myself. That said, I’ve started taking on more commitments than I’m used to, so we’ll see how well I handle that as deadlines approach. I maintain my sanity by spending time in God’s Word, reading, and writing fiction. I’m happiest when I’m creating fictional scenes, so I have to make time for that and would make time for it even if I didn’t have a deadline. I’m also working at developing time for physical exercise, something I’ve never enjoyed all that much but find necessary to balance sitting at a computer so much. Well, in Biblical fiction many of them are already chosen for me. If not, I seek names that fit the times either used elsewhere in Scripture or in ancient literature. For my contemporary suspense, I look for names I like but where I don’t know anyone by that name on a close, personal level. For my historical suspense, I used a name finder for names popular during that era. Baby name generators are great for ideas and for meanings, which can be significant. I hesitate to use the word proud because my accomplishments are blessings by God’s grace more than anything I have done. But if I had to pick one, it would be my family – marriage to one wonderful man for 31 years and raising three sons who love the Lord and bring me great joy. But again, I really can’t take credit for what God has done and has allowed. I’m just grateful for the blessings. A cat. We have two cats and I love how physically flexible they are. Can you just imagine being able to sleep with your head turned sideways and upside down? Plus they have an independent streak that keeps them mysterious, yet they are dependable and needy when only those closest to them are looking. :-) I’d want to be lovable and huggable like my Tiger. And they all sound delicious. I'm getting hungry. Tell us a little about your journey to publication. How much time do you have? :-) I’ll give you the short version. Back when God told me to dig up the gift I began my journey writing poetry and music. A few years later, I graduated to writing fiction and started with a two-volume epic on King David’s life. Sixteen to twenty years and about nine unsold books and dozens and dozens of rejections later, that epic became a three-book series on the Wives of King David, which finally sold to Revell. During that waiting process, God’s refining work continued not only on my writing but on my heart. I carry a spiritual limp from wrestling with Him over this publishing desire, and came mighty close to quitting before He brought it all to pass. He had a plan, but it was in His time, not mine. And His timing is always perfect. What is the problem with writing that was your greatest roadblock, and how did you overcome it? Hold the desire for publication in an open hand. Keep seeking the Lord’s leading. Keep writing. If God places the desire to write within our hearts, we have no choice but to obey Him and use the gifts He gives to us. We are entrusted with certain abilities and will give an account to Him for how we use them. But our successes—published or not, are not up to us, but up to Him. “Draw near to God and He will draw near to you…Humble yourselves before the Lord and He will lift you up.” Wrestling with His will must lead to absolute surrender – we can do nothing less. And then trust the Lord with all your heart because those who trust in Him will never be put to shame. Then see what God will do! Michal, A Novel is the first book in The Wives of King David series published by Revell. In love with her father’s worst enemy, will it cost her everything? Michal longs to marry the harpist, David. But when her crazed father grows to hate him, her beautiful sister catches his eye, and she begins to understand the commanding political future looming before him, she wonders if there is any chance of capturing his heart. Determined to win David's love, Michal manages to convince her father, King Saul, to give her sister to someone else. Her plan succeeds, leaving her free to marry David. But before their life together can even begin, King Saul’s madness sends David into hiding. Michal knows David will one day be king, but will she be the one to rule beside him or will her resentful spirit forever estrange her from David…and from Adonai? Thanks, Lena, for the opportunity to be featured on your website! And thank you, Jill for spending this time with us. Want a chance to win a copy? Leave a comment? Be sure to check back a week from Saturday to see if you won. Today we're featuring a book by Kathi Macias. I just love the title, don't you? Welcome, Kathi. You are writing nonfiction. Do you also write fiction? Absolutely! Though I’ve done slightly more nonfiction than fiction books, they’re nearly evenly balanced, and I’m currently working on a new fiction series for my publisher, with the first book scheduled to release in Winter 2010. I have always wanted to write. I can’t ever remember wanting to do anything else! What a blessing that God has allowed me to see the desires of my heart come to pass. May it always be for His glory! My husband, Al, and I have known one another since we were six years old (more than fifty years!). We were junior high/high school sweethearts. Our children are all grown, and our grandchildren are getting there as well. In fact, our oldest grandchild, Shana, is now married with a child of her own (Isaiah), so we are great grandparents. Our grandson Mikey just joined the Navy a couple of weeks ago, so we are “military grandparents” as well! In addition, my 87-year-old mother lives with us, and I am her primary caretaker. James and I have a military grandson, too, and he has a son, so we're also great grandparents. Have you written other nonfiction books? Yes, about a dozen of them! This current book, HOW CAN I RUN A TIGHT SHIP WHEN I’M SURROUNDED BY LOOSE CANNONS, is number twenty, with two more coming right behind it (one fiction and one nonfiction), plus the four-book fiction series I mentioned earlier. All the current books are listed on my website (http://www.kathimacias.com/) on the “books” page. You can find many of them in bookstores right now. Some of the older ones can occasionally be found on Amazon and other similar sites. Yes. In fact, in addition to the four-book fiction series I mentioned, I have a couple of nonfiction books and one stand-alone novel in various stages of development. The primary place would be my website (http://www.kathimacias.com/), though a Google search of my name will turn up lots of alternatives. Isn't that fun. My daughters are amazed when they Google my name. What kinds of hobbies and leisure activities do you enjoy? Okay, this is going to sound really shallow, but I thought of the title first and liked it so much I decided I really needed to write a book to go with it! Then, once I got started, it took on a life of its own, and I believe it has a really powerful (if amusing and entertaining) message. The primary characteristic that makes this book unique from other humor books is that it is actually a teaching book of things I’ve learned from my life as a Christian (over thirty-five years), all told in a humorous (and sometimes humbling!) way. The book takes the reader through what I see as the five stages of Christian life: crawling (on our knees); walking; running; flying; total dependence on God (back on our knees again). I want readers to understand that as Christians we are WIPS (works in progress), and we go through various stages of development, in different seasons of life. No one can be in control all the time; there are just too many “loose cannons” in our lives! Surprisingly, we usually learn that we are the loosest cannon of all, and the only way to get past that is to turn complete control of our lives over to the “Master of the Seas” and let Him guide our ship safely home. I love that. Kathi, thank you for spending this time with us. Leave a comment. You might win the book. Check back a week from Saturday to see if you do. If you don't, you can still use the link. 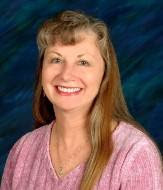 I write Inspirational Romantic Suspense meaning I weave the Christian faith throughout the story. My characters are more than two dimensional figures, not only do they have the physical and emotional sides, they also have a spiritual side. I write these kinds of stories because I can’t separate my faith from writing. And God is my hero, my Savior, my Lord. It’s a joy to put Him in each and every story I write. My wedding day, and the days of my children’s birth, the day I got the call from Krista Stroever saying she wanted to buy my book… Goodness! It’s really hard to choose just one day…ha. I sure do write a lot more! It’s amazing how your priorities shift. My family and my children are my number one priorities, of course, but now I have this JOB with deadlines and everything. Writing is not only something I love, it’s what I do to make a living, it’s something I have to make time for and for someone who was very busy before publication, I had to cut a lot of “stuff” out of my life to keep writing a top priority. Nothing. Seriously, isn’t that a terrible answer? But I have some pretty close deadlines and I’m focused on getting those done. I DO have a to be read pile, but so far it’s just sitting there waiting on me to have some time. I’m working on two books at the same time. One for Steeple Hill that was just bought a couple of weeks ago and one for Revell that is due in June. I’m also doing line edits for the first Revell book and just finished line edits for the previous Steeple Hill book. You are busy. I want to feature you with each book. What would be your dream vacation? A week in a secluded mountain house all by myself where I could write to my heart’s content. Of course I would probably scare myself to death with my stories, but that’s a given. I still wanna go! I write what I know. I live in Spartanburg, SC and therefore that’s where I generally base each story. My husband because I don’t get to spend enough time with him. He is a professional fundraiser for Christian radio stations all over the country so he is gone ALL the time. Spending an evening with just him would be awesome! I used to scrapbook a lot, but have resorted to just sticking the pictures in readymade albums since writing took over. I like to travel some and go to the movies with my family. I also like to ice skate whenever I get the chance, but that doesn’t happen very often anymore. LOL. My most difficult obstacle up until recently has been time—and just life in general. My kids are very active in sports and just kid stuff so I spend a lot of time running them around from place to place. By the time I get home at night, I’m exhausted. Also, with my husband gone so much, most of the household responsibilities fall to me as well as taking care of the bills, etc. I also do a lot of running around for my husband since he’s not here to do it. I finally came to the conclusion that I’m not superwoman (shocking, I know) and I gave up homeschooling. I was being mom, dad, teacher, and every other role known to mankind, 24/7. So, my children went back to school about three weeks ago. Now, I have quite a bit more time, but it still seems like life keeps interfering! Ha. Write! And develop a thick skin. Soak up constructive criticism and implement it. And pray a lot. God’s timing is perfect. 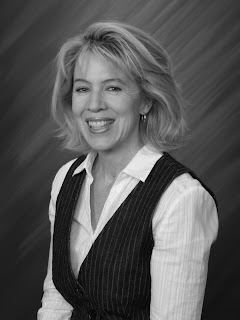 My website is http://www.lynetteeason.com/ and my email is lynetteeason@lynetteeason.com. I love to hear from readers, so please stop by anytime! Thank you, Lynette, for stopping by. For the first time since having this blog, I duplicated a previous blog. I have now deleted it and will put up a new one. I featured Miralle's first book, and I'm happy to have her back with her first Summerside Press book. Welcome, Miralee. Why do you write the kind of books you do? My first book was women’s contemporary, and the story compelled me to tell it. It was so true to life, with such gripping emotions, that it poured out of my heart. Love Finds You In Last Chance, California, is a totally different type of book, as it’s a historical romance with a suspense thread. To be quite frank, it’s a romance because it needed to fit in with what Summerside wanted, or it might have ended as historical women’s fiction. Now that it’s written, I’m thrilled that it’s a romance…I don’t think it would have been as strong without that aspect. I’m finding that I LOVE portraying characters from the Old West. From now on I may have a tug of war in my heart between writing women’s contemporary and historical, as I’m finding I love both equally well. I enjoy writing both, too. Besides when you came to know the Lord, what is the happiest day in your life? I’d have to say when my children were laid in my arms in the hospital. As any mother knows, there’s such an incredible sense of awe that comes with the birth of a child. It’s been a blessing to experience that twice, and the blessings have continued over the years as both our daughter and our son came to faith in Christ, making life decisions that brought joy to both my husband and myself. Wow, this could be a long answer…I could almost say “how hasn’t it changed your life” and been shorter, LOL! On a light note, it’s definitely kicked in some brain cells I hadn’t used for years, and is probably keeping me from early senility. I’ve become more creative, more observant, more thoughtful and even busier than I thought possible. Life was going at high speed before I started writing 4 yrs ago, now it’s kicked into super sonic. I don’t have as much time for things I used to do for pleasure…some of those have gone by the wayside. I’ve had to become more focused and disciplined, which has always been a challenge. My writing has stretched me to expand in ways I didn’t know existed before, but I’m loving it! Much of my reading takes place via audio books right now, when I’m driving, doing housework, etc., but I do try to squeeze in a "real" book as often as possible. Right now I have some of both going…the first in the Yada Yada Prayer Group series, by Neta Jackson, Just As I Am by Virginia Smith, Where the Heart Leads by Kim Vogel Sawyer, and Love Finds You in Valentine, Nebraska, by Irene Brand. I've read all of them except the Yada Yada books and loved each one of them. What is your current work in progress? At the time that I’m doing this interview I have several. Of course you know about Love Finds You In Last Chance, California, with the Feb. 2009 release date…I’m in the midst of final edits. I’m doing revisions so I can go into the edit stage with Kregel on Past Shadows (working title only), the sequel to The Other Daughter. And I’ve started writing book 3 for Kregel in that series, and have started another historical romance for Summerside’s consideration. I have so many, it’s hard to pick, LOL! Truly, I’d love to travel abroad on an extended trip, visiting Israel, Africa, Italy, Austria, and New Zealand. How’s that for variety? But I’d also love to find a tropical island somewhere, that is fully equipped just for me…with a satellite for my lap top, a cozy restaurant that serves only foods that I love, a horse to ride around the island, a boat my hubby and I could take out fishing and sailing, and lots of sun and sand to relax on and read….oh, and did I mention Pepsi and chocolate on hand that are calorie free?? Hmm….yep, that works for me! I chose the Pacific N.W. for my books with Kregel, as I live there and know the area so well. My Summerside release is set in North Central California, in the Sierra Nevada Mountains. That’s the area that the editor from Summerside and I agreed might work best for my story line…it takes place in the small mining community of Last Chance. My husband and I were able to spend a few days there so I could research the area and bring the same sense of authenticity to it as I did to my books set in more familiar territory. I want my settings to come alive to my readers, so they feel connected to the area, as well as the characters. For me, that will mean living in that area, or visiting and researching in depth. Horseback riding is at the top of the list. My horse currently resides with her equine buddies at my daughter and son-in-law’s house, so when I have a chance to trail ride, I also have a wonderful riding partner in my daughter. My husband doesn’t care to ride, but he does love to sail, so I share that with him on our sailboat (when he’s not working on it, that is). I also love to putter in my flower beds and vegetable garden, and IF I had time, I’d be oil painting…something I used to do prior to writing. Coming up with a solid story idea. Once I have the idea, the characters and setting are easy for me. When I began writing I strictly wrote non-fiction and truly thought I didn’t have enough creativity to write fiction. The Lord has broadened my abilities and mind to encompass fiction now, but it’s been a challenge at times. Overcoming? Hmm…I think keeping open ears and eyes to what’s happening around me. Looking and listening for potential story ideas in the news, in people’s lives, in a song…there are so many ways stories can come to a person…it’s a matter of tuning in and being more aware. Don’t get discouraged because your book isn’t snatched up and published the moment you’re finished writing it. Don’t give up because agents and publishers aren’t beating down your door for the first chance at your work, no matter how brilliant you think it might be. Realize that most published authors sweated, worked, learned, cried, and overcame many, many obstacles to get where they are. LEARN the craft before you present your work to an agent or author. Get people’s opinions (beyond your family and friends) from people who ARE published, and be willing to listen. Grow a tough skin and be open to receiving honest critiques of your work. The industry moves slow in some ways, but can change at lightening speed in others. Learn not only the craft, but how the industry works, and you’ll avoid so many “newbie” mistakes. I Love this book. Is it okay to say that first? The characters became so real to me, and their plight important to resolve. The setting in the Old West drew me, as I have a love for that era. It’s set on a horse ranch on the outskirts of a small mining town in California. Rugged country where even the toughest men find it hard to succeed. Our heroine, Alexia Travers, finds it doubly so, since her father died and left their large horse ranch in her hands. He took out a mortgage on the ranch days before his unexpected death. Alex’s hands are quitting, as they don’t want to work for a woman, and her horses are disappearing. A stranger and his three year old boy come seeking a job and a home. But when disaster threatens Travers Ranch, they must work together to save someone they both love. Can these two independent people learn to depend on God and on each other, and untangle the mystery surrounding the ranch? I can hardly wait to read and review your book. It's on the top of my to-be-read pile. How can readers find you on the Internet? Thanks, Lena. It’s been a pleasure chatting with you and your readers, and I hope you’ll all race to your local Christian book store, Sam’s Club, Borders, Barnes and Noble, Family Christian store, or your favorite place to shop online to buy a copy of Love Finds You In Last Chance, California. Thank you, Miralee, for spending this time with us. Leave a comment for a chance to win a free copy of the book. Be sure to check back a week from next Saturday to see if you won. Or you could sign up for Feedblitz at the top of the right hand column, and the posts will come to your Inbox. 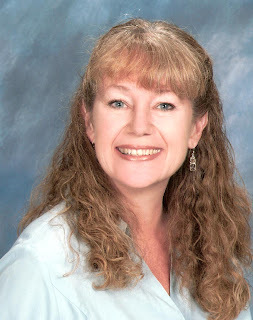 Kristi is the winner of Polly Dent Loses Grip by S. Dionne Moore. Susan Stitch is the winner of Age Before Beauty by Virginia Smith. 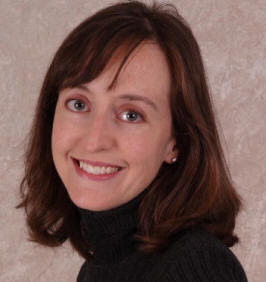 PamelaJ is the winner of Evidence of Murder by Jill Elizabeth Nelson. Quite a list, isn't it? All of you must email me your mailing address so we can get the books to you. There's a link in my Complete Profile. Click on the View Complete Profile link in the right column. Our interview today is a little different. Welcome, Barbara. What has drawn you to writing for children? Honestly, I really never had any plans to write for children. But, in April of 2005 I began a journey of soul searching. I wanted to live my truth and experience more joy and make a difference in the world. That lead me to hiring a life coach to figure out what I wanted to do with my life. In my coaching sessions my love for animals and writing kept coming to the surface. I decided to pursue writing about what I know and love best, which is animals, especially dogs. During one of my coaching sessions my coach suggested I think about writing a children’s book. At that time I could not picture doing that or even having a clue what I would write about. I stored the thought in the back of my mind and pursued writing a monthly column for our local paper called, “For the love of animals.” As I was writing for the paper I joined a women’s writing circle and also began attending seminars on writing. I attended a conference in March 2007 with the intention of writing an adult non-fiction book based on my journey in life being guided by my dogs. When I returned home from the conference, the next morning I awoke, sat straight up in bed and said out loud, “I am going to write a children’s book and it is going to be about Frankie.” My journey of looking inside for my truth and making a difference which began three years prior, and all that transpired in between, is what lead to what I believe is my purpose, which is telling the story of my dachshund who is paralyzed and how she lives a quality life even though in a wheelchair. Quirkiest thing I have ever done? Hmmmm? I like to change my writing room around quite often. Maybe some would consider that quirky? I don’t usually do too many quirky things because I embarrass easily! My friends and family would often tell me I write from the heart. I would write letters or poems to those I care about. One friend said I should write Hallmark greeting cards. I never took it too seriously. 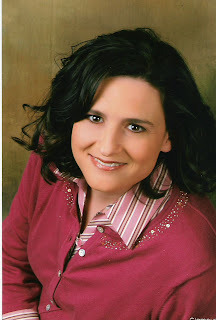 When I began my journey of soul searching and writing my column, I realized I enjoyed writing. My first story for my column was dedicated to my chocolate lab, Cassie Jo, who had died 2 weeks before my first story was published. I wrote about determining quality of life for your animal when diagnosed with a terminal illness, as I was going through that at the time. Seeing my story in print was a strange feeling at first, because I thought, “Oh no, now everyone knows my feelings.” But, then I received positive feedback and actually helped others and that it made me feel really good. My writing was helping others with their animals and that brought me much joy, while at the same time, helped me with the loss of my chocolate lab. Also being a part of a writing group gave me the courage to believe in my writing and most importantly, my voice. I really enjoy motivational, inspirational and spiritual books. Authors like Wayne Dyer and Sarah Ban Breathnach. Books about writing and the writing process also intrigue me. I am a big fan of Natalie Goldberg. I also love dog books and my favorite author is Jon Katz. I also enjoy Gladys Taber. She lived in the 1950’s and wrote about all the simple pleasures of life. When I feel out of balance or want to get back to what is important to me, I read Gladys Taber’s work and I always feel peaceful, connected and centered. I also enjoy reading children’s books, especially if they are about animals or dogs. This is the first book I have written. That is a really good question. For me, it has been a learning process over the years. Recognizing and acknowledging when I am out of balance is key for me. Sometimes it takes me a few days to realize I am run, run, running, but when I do, I can relatively soon bring myself back to center. Walking my dogs and just observing nature around me usually always brings me back to center, or riding my bike through our quaint, small town. Sitting in silence is another great thing to remind me what this thing called life is all about. I also continue to open my awareness to spirituality and what it means for me. I love to live as simply as I can, but that is not always easy in a world I believe really is spinning a bit too fast. But, being aware of our feelings and knowing when we need to take a break and then taking that break is essential to living a balanced life. I am very proud that I had the courage to look deep inside myself and be honest with what was not right in my life and then finding the courage to take a new direction. It was one of the hardest things I have ever done, but I just knew if I took the time to think about my life and what I really wanted it would lead me to a more peaceful place. And it has. Without a doubt, a dog, and preferably a dog that has an owner like me. :-) I think dogs are so smart and really get what life is all about. I truly believe that is why we have dogs, because they teach us to not take things so seriously and to enjoy the here and now. We just have to be open to observing and learning from them. Pizza! Pizza! Pizza! I could eat it seven days a week. Well, I think it really depends on your goals and what you want from your book. From what I read and hear there are many, many new children’s books being put out into the world each day. I try not to worry about that. Everyday I try to do 1-3 things to market and promote my book. I believe you have to have passion about what you are doing. I never understood that before, but I do now, because I am passionate about my book and my story. When my book first came out there was a ton of positive buzz and my book launch was a huge success. But, if you want to keep it going in the long run, you must keep promoting and marketing every day. In order to do that and not get burned out, you have to truly believe in your story and your book. Your passion and belief in yourself is what will keep pushing you forward. Surround yourself with those who believe in you and they will cheer you on when you need it most. This is a true, inspirational story about my dachshund Frankie. On Easter Sunday 2006, my husband John and I were on vacation in Florida when Frankie’s life changed forever. We got a call that Frankie had ruptured a disk in her back and needed to be rushed into surgery. We felt helpless so many miles away and we felt like our hearts would break in two. I also was uneducated in disc disease and thought Frankie might die and I would not see her again before we could get back home. Frankie made it through surgery and the next 3 months would determine if she would walk again. 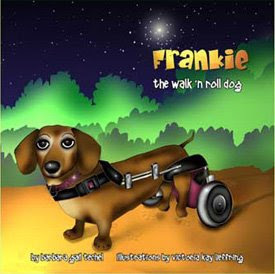 She did not gain use of her hind legs, so Frankie was custom fitted for a dog cart, similar to a wheelchair for people. Frankie taught me adversity in the truest form as she adapted to rolling on with life instead of walking. Frankie, the Walk ‘N Roll Dog is told in Frankie’s voice. It is Frankie’s life story of how she started out her life walking like a regular dog, but then becomes paralyzed. She gives you hope and inspiration that anything is possible. This book is for all ages and teaches us about overcoming challenges by having a positive attitude. It also teaches compassion for the physically challenged and not judging others because they may look different. Thank you, Barbara, for spending this time with us. Leave a comment on this blog site for a chance to win a free copy of the book. Please check back a week from Saturday to see if you won. I love having Deborah Raney as a guest. The first book I read of hers touched me in deep ways I hadn't experienced very often. Now I have to read all her releases. Welcome, Deb. What are some of the spiritual themes you like to write about? No matter what theme I think I’m writing about, my novels almost always seem to circle back to this: God can take the most horrible, hopeless situation and turn it into something beautiful. That redemption theme is at the core of every story I’ve written. Romans 8:28 acted out. That's true of all your books I've read. What other books of yours are coming out soon? The third (and probably final) book in the Clayburn Novels series, Yesterday’s Embers, releases from Howard/Simon & Schuster in March and I’m currently working on a new series for Howard––this time set around the lives of the survivors of six firefighters who died in a tragic blaze in a homeless shelter in (fictional) Hanover Falls, Missouri. This coming June, I have another book coming out with Steeple Hill, Above All Things. Oh! There are so many I’d love to spend time with. But I’d probably choose my dear friend and critique partner Tamera Alexander. Because Tammy lives in Tennessee and I’m in Kansas, we don’t get to see each other nearly often enough. It would be nice to catch up on each other’s news face-to-face instead of online or on the phone. Ever since the summer I read Laura Ingalls Wilder’s entire Little House series. I was about 11 and I think that’s the first time I realized that behind every wonderful book I read was a real live person who penned the words. Once I made that discovery there was no doubt in my mind that I wanted to be the one to give people the kind of pleasure Ms. Wilder gave me with her stories of life and faith and hope. • Those rejections are proof of great accomplishment! You have finished a novel––something few people ever do! • If you’ve prayed about your submission and you’ve truly given your talents over to the Lord, you can be assured that things will happen as He wills, in His perfect timing. And you wouldn’t want it any other way! • Consider the possibility that those rejections are evidence that you still have work to do in learning the craft of writing. Let them nudge you to do whatever is needed––reading more books on the craft, working with a critique partner or free lance editor, saving up to attend a writers conference, or simply continuing to practice your craft as a writer however long it takes. Wise words. Tell us about the featured book. Insight was inspired by an article in a Good Housekeeping Magazine about ten years ago. I was doing research on my novel A Scarlet Cord, and in the middle of a story about a woman in the witness protection program, I found a tidbit about a heart transplant and a recipient who married the widower of her donor. Unfortunately, someone else apparently read that same magazine and their idea became the wonderful movie Return To Me. But I played with the basic elements of that true story and came up with another twist on the transplant theme. Insight is the result, and I think you’ll really like it! It releases from Steeple Hill February 1, 2009. Leave a comment for a chance to win a free copy of the book. Don't forget to check back a week from Saturday to see if you are a winner. If you're afraid you'll forget, sign up for Feedblitz in the top right hand corner of the blog. Do you like ebooks? You can preorder Kindle 2. There's a widget about it in the right hand column of the blog, too. I love Mary Connealy's writing style. I'm sure you will, too. Welcome back, Mary. God has really been moving in your writing life. What do you see on the horizon? What I see is a career, Lena. It’s as if God granted me the deepest desire of my heart. I hope and pray I can keep writing books that are each better than the last. I want to improve and I want to keep writing until I can have a "body of work." Isn’t that a nice term? Yes. Now, Mary, tell us a little about your family. Okay, I’m going to tell you a little bit about my brothers and sisters instead of my own husband and children, because Gingham Mountain was inspired by my family growing up. I’m from a family of eight kids. Boys and girls both. In Petticoat Ranch it was an all-girl family with one man and in Calico Canyon it’s an all-boy family, but now we’re mixing things up a little and the kids are all crammed together in age…which we were, although the Gingham Mountain family was orphans. The eight of us in my family were born in eleven years, so my mom was a busy, busy woman. Now we’re all grown up with families of our own, but when we were little, living in a small country farm house, with precious little money, we must have been such a rabble. But my parents had this wonderful gift for making us all feel like we were a blessing. My mom acted like she was so lucky to have each and every one of us. What a nice lady, huh? She still is a sweetheart. She sounds like a treasure. Has your writing changed your reading habits? If so, how? I’d say no. I read like always. I may read a bit more critically but if I’m editing a book while I’m reading that’s a bad, bad sign. I like to get lost in a book and mostly I can. Gingham Mountain is the last of the Lassoed in Texas series and next up is a new series we’re calling Married in Montana. It’s got the same suspenseful, romantic comedy with cowboys as this series and it was really fun to write. The books are all finished so I’m not really working on them now. My current work is on a series based on Sophie McClellen’s daughters all grown up. I am having WAY too much fun with these tough Texas females. I’m a crossword puzzle savant and I like Sudoku puzzles and I read and write. I also like to spend time with my adult children. I’m a grandma!!!!! I love being a grandma and a great grandma. How do you choose your settings for each book? I need cowboys. You know, you can be a cowboy almost anywhere. So the location isn’t a big factor. I’m from Nebraska and Nebraska is a good setting for cowboys. I ought to write about Nebraska cowboys next. Tough question. Thomas Edison, maybe? I like how that man’s mind works. I’ve heard George Washington had a quality about him that inspired utter respect. I’d like to see if that’s true. Here are some others who popped into my head…which is why I’ve been thinking about this question for far too long. How important getting connected is. Meeting people, attending conferences, connecting online. The Lord has his hands full teaching me anything. I have a very seesaw personality, up and down, one day far too self-righteous, the next day feeling like I’m steeped in sin. I suppose the second is more true than the first. Here’s one thing I have recently begun to believe. Of course the Bible has us learn in new ways all the time so my truth right now is what I need to learn and it may not be what’s necessary for someone else. BUT, with that disclaimer fully spoken…. I’ve been reading the Bible with a different focus lately. Read it with it fully in mind that God is far more interested in our souls than in our bodies. I try to explore that in Gingham Mountain, why God allows children to live on the streets, cold and hungry. I think it’s a deep and difficult truth that God sees our souls as this bright, shining part of us, this seed of eternity within us, and is focused on that far and above our bodies. So many of the stories you read, if you understand that Jesus is intently interested in the state of your soul, the stories read differently. God knows what’s in your heart and His work in our lives is focused on what’s in our heart. So two people can do almost the exact same thing but one is condemned and another lauded. It’s because God sees the truth of what is in your heart. This is at the heart of Martha and Mary. It’s also right there when Jesus heals the man lowed on the pallet from the ceiling. It’s also there when He tells Peter, Get Thee Behind me Satan. I think the Bible reads in a different, richer way if we keep this in mind. And I think we cope better with the bad things in our lives, illness, death, financial hardships, etc. if we know God is always working toward refining our souls, and He isn’t all that interested in the rest of us. They loom very small in His considerations. Allow yourself to be critiqued, then write what you’re learned from that critique. Mary, tell us about the featured book. A rancher runs head-on into the new school marm, who believes he’s made slave labor out of eight orphaned children. Grant Cooper crowds too many orphans into his rickety house, just like Hannah Cartwright's cruel father. Grant's family of orphans have been mistreated too many times by judgmental school teachers. Now the new schoolmarm is being cranky just like all the others, except she isn't really bad to his children…it's Grant she can't stand. And none of that would be so bad if Grant didn’t catch himself kissing Hannah every chance he got. I am too much all over, Lena. Mary, thank you for spending this time with us. It's always a pleasure. As usual, leave a comment for a chance to win a free copy of the book. Don't forget to check back a week from Saturday to see if you have won. Sign up for Feedblitz, in the upper right hand corner of the blog, if you're afraid you'll forget. 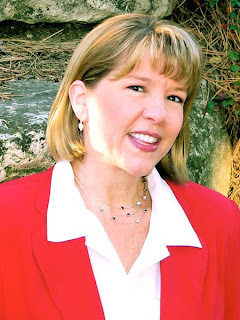 I just love having Susan Page Davis as a guest on my blog. Welcome back, Susan. Abiding Peace is the third in a series. While researching the setting and period, I visited the public library in Dover, New Hampshire, where I found a lot of great maps and other information about the 1689 massacre. I also visited the Woodman Institute, where they have preserved the last extant garrison house from the colonial period in N.H. The staff at both places were terrific. My critique partners are some of the best, and I owe them a big thank-you, too: Darlene Franklin, Lynette Sowell, and Lisa Harris. Your crit partners are three of my favorite people, too. If you teach or speak, what’s coming up on your calendar? I’ll be teaching a workshop at the Maine Fellowship of Christian Writers’ one-day conference in August. I’ll also be at the ACFW conference in Denver in September—don’t know yet if I’ll be speaking there, but I hope to. I've also applied to the ACFW conference, but I'm already scheduled at the North Texas Christian Writers Conference earlier in September. So we're both busy. If you had to completely start over in another place, where would you move, and why? Right now my husband and I are looking for a retirement home in Kentucky. We’re ready to move someplace warmer than Maine, and our travels in the south told us we don’t want to be TOO far south. We loved eastern Kentucky when we visited last year. Beautiful and green, but much warmer than Maine in winter. I have a grandson in the army in Kentucky. If you could only tell aspiring novelists one thing, what would it be? Read a lot, and write a lot. Is that two? First of all, I’ve never been on a cruise, so I have no idea what they do. I think they have evening shows, and I’d like to see some dinner theater. For actors, I’ll pick Jeff Perry as the detective, Kate Jackson as the leading lady, and Eric Close as the villain. Oh, and Pauley Perrette as the victim. I have no idea who to get for singers. Abiding Peace tells about Christine Harding, who was captured by Indians in the 1689 massacre and spent several years in a convent in Canada. Now she’s back in New Hampshire and taking care of Pastor Jewett’s children. When a mysterious man threatens the children, Christine begins supplying him with food and other necessities. She’s terrified to tell anyone about the stranger—until a woman from the community goes missing. Christine and Pastor Jewett have a high regard for each other that could blossom into more—but will he turn from her in anger when he learns what she has done? She straightened her shoulders, and her eyes flashed. For an instant he feared she would challenge his right to speak so and go anyway. Dear God, how have we come to this? Meek Christine defying me! Please, let us not show ill-will before the children. He swallowed hard and tried to frame a gentle overture, but Christine opened her mouth first. 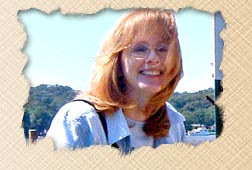 My Web site is at: http://www.susanpagedavis.com/. I love to hear from readers, and I give away a book each month. Readers, leave a comment for a chance to win a free copy of the book. Don't forget to check back in two weeks to see if you won. Woo!!! Hoo!!! First February Winners!!! Carol Wiley is the winner of Forever Richard by Sue Dent. Stacie is the winner of The Good Stuff by Michelle Stimpson. Darby is the winner of Finding Your Faith by Stephanie Perry Moore. Miralee Ferrell is the winner of Daniel's Den by Brandt Dodson. Please click on the email link in my Complete Profile and send me your mailing address, so we can get the books on their way to you. Today, we're featuring Jill's first Love Inspired suspense novel. Welcome, Jill. What are some of the spiritual themes you like to write about? I’ve written about hearing God’s voice, discerning light from darkness in a gray, confusing world, and trusting God in spite of the odds, but I’m biggest on pointing people toward hope. Seizing and clinging to hope despite obstacles is a bedrock theme in Reluctant Smuggler, the third book in my To Catch a Thief series of romantic suspense. You’ll find threads of the hope theme in everything I write. In Evidence of Murder, my February 2009 release for Steeple Hill Romantic Suspense, the deeply wounded hero must find reason to hope again, with the assistance of the heroine, even as they battle a faceless monster out to kill them. It was a challenging, fun, and personally moving book to write. In June 2009, Witness to Murder releases from Steeple Hill Romantic Suspense. One of the secondary characters from Evidence of Murder becomes the main character in this one. I'm excited to take readers into the world of TV journalism, as well as a touch of the exotic from another continent. Here's a teaser: After a TV news reporter discovers a bracelet handcrafted by her long-deceased Nigerian mother on the wrist of a murdered fashion model, she digs to find the mysterious connection between herself and the murder victim. Her search for roots disturbs buried secrets that a killer will do anything to hide. I’d have to say Francine Rivers. She’s a writer I admire very much. Her work inspires me to become better and better. Maybe one day I can write classics like Redeeming Love and the Mark of the Lion series. I’ve never had the privilege of meeting her in person, but I hear she’s a humble, wonderful person and a joy to be around. I think I’d like a bunch of that to rub off on me! I met Francine when she was the keynote speaker at the first ACFW conference we had in Denver. She's everything you've heard and more. I admire her walk with the Lord as much as I love her writing. How long have you known that you wanted to be novelist? At least since the sixth grade. That’s when my love of reading morphed into a passion to give others the same pleasure I received from reading a good book. The dream of becoming a published novelist has been born and died several unsung deaths over the course of my life. Then at about the turn of the century, the passion flamed once more, and evidently it was the Lord’s timing for it to come to pass. Several years of concerted effort and three full manuscripts later, Multnomah Books picked up my To Catch a Thief series, and the dream came true! Wherever I go on a speaking engagement, I like to tell people that if God will bring a cherished dream to pass for this nobody-in-particular from nowhere-special, He will do it for them too. You aren't from nowhere. I've often wondered if since you're from Minnesota, and my father's family is from there, could we be kin to each other. Maybe some kind of cousin. What can you tell authors who have been receiving only rejections from publishers? Write, write, write; grow in craft; study the market; network with writers, editors, and others in the industry; don’t despise the day of publishing small pieces, and persevere, persevere, persevere! As long as you know you’re obeying the Lord’s plan for your life, it doesn’t matter how long it takes for that first book to be contracted. Oh, and don’t jump ahead of God and try any shortcuts. Believe me, they’ll just end up being longcuts. Patient endurance is the ultimate virtue in this business and brings great rewards! Excellent advice. Now, tell us about the featured book. Here’s a teaser for Evidence of Murder: When a new business owner finds on her property photos of a decade-old mass murder, she and the surviving son of the massacre become targets of a desperate and powerful killer. I chose my home state of Minnesota as the setting for the book, and took the opportunity to explore fun and exciting areas—from the Twin Cities, to the Mississippi River, to the Boundary Waters Canoe Area. I also had a blast researching new careers. The hero rents houseboats on the Old Miss, and the heroine is gearing up to open the doors of her dry cleaning business. Dry cleaning is a lot more interesting and involved than one might think. And the heroine, with her own background of tragedy and struggles with faith, makes an excellent foil for the suffering hero. 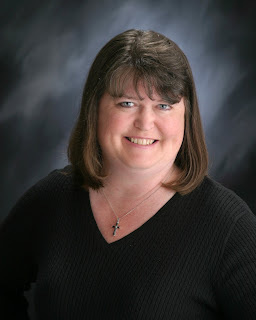 My web site is http://www.jillelizabethnelson.com/. I offer a book review blog, plenty of opportunities to win books, my speaking topics, personal details, an appearance schedule, and of course, a page chock full of information about my published and upcoming books. The books page contains video and audio material, as well as excerpts.